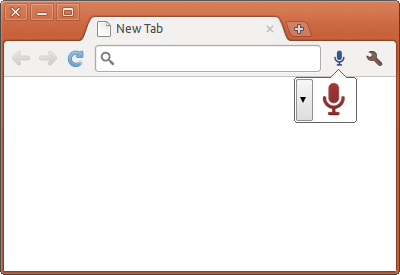 Voice Search is an open source Google Chrome extension I made that allows you to search by speaking. For example, just click on microphone and say kittens to search for kittens. If you specifically want pictures of kittens, say google images kittens . Want to learn more about World War II? Say wikipedia world war two . The source code for Voice Search is on GitHub. Voice Search comes pre-loaded with many popular search engines by default, and you can add your own user-defined search engines. It also integrates a speech input button for all websites using HTML5 search boxes, all of the default search engines’ websites, Facebook, Twitter, reddit, and GitHub. In later versions, I plan to introduce ability to import/export settings, create aliases (e.g. map to Google Maps and calculate to Wolfram|Alpha), OpenSearch description detection, and scripted terms that do more than open URLs.